Alton Towers Waterpark is situated inside the Splash Landings Hotel and is lots of fun for all the family. We received a discount on entry using our Merlin Annual Passes (for which we are brand ambassadors). 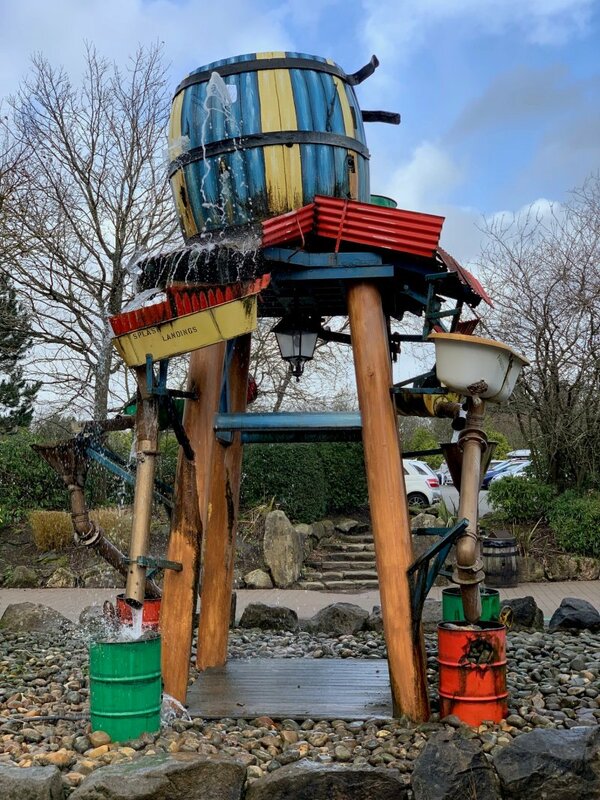 Alton Towers Waterpark is easy to find (with clear sign posts) and is located in the Splash Landings Hotel. The normal way to access the Alton Towers Waterpark is down some stairs. I assume there is lift access but it wasn’t obvious to me, but then again I wasn’t looking. Personally I would have found it really difficult to park the car at Alton Towers Waterpark as the car park was very full. We went when it was out of season and the main park only open to special guests. I am not sure if this made for the waterpark and hotel being busier but I am just glad it was my husband driving. 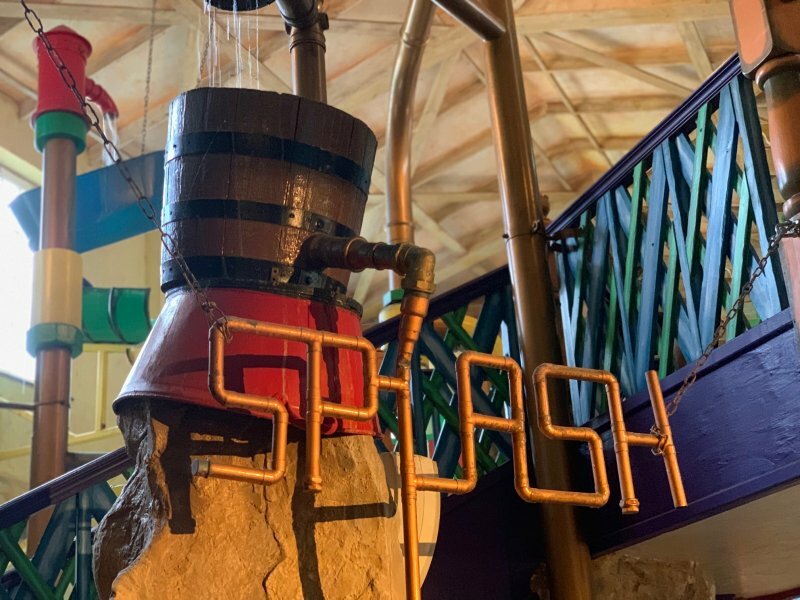 There’s lots of fun water decorations as soon as you step inside the building and throughout the journey to the Waterpark, making it a great sensory experience from the off (for sensory seekers). 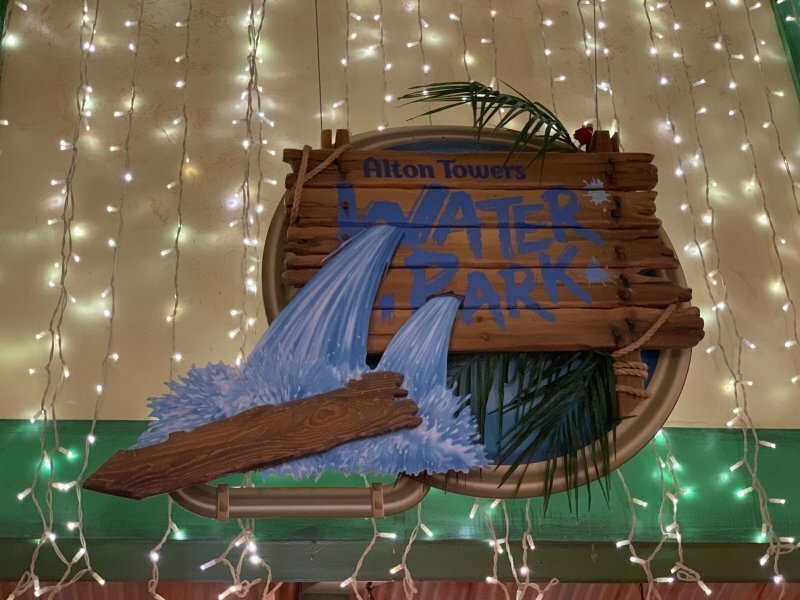 It did turn out that we could have also had free entry into Alton Tower’s Waterpark for a carer with proof of disability/DWP letter or Blue Badge – this was not clear on the website and so I paid for all of us in case the Waterpark was full to capacity. Disabled customers who can walk unaided but receive the higher rate DWP or have a blue badge are able to receive a Wristband which allows 4 rides on the Masterblaster slide without queuing. This did not apply to us so I am unsure at this point how this works. This can be for either single or double rings. Parking is free. Again I am sure there is parking for those with a blue badge closer to the entrance of Alton Towers Waterpark which may be easier to park but this did not apply to us and I am afraid I did not notice. Under 10s must be accompanied by an adult; Children ages 5-9 years old have a 2:1 adult ration; and each under 5 needs their own adult. Alton Towers Waterpark is open 10am-6pm – you may be asked to attend a certain time slot at busy times. Only swimwear can be worn in the Cariba Creek. You can go in and out of the Waterpark multiple times by having a hand stamp on exit. Alton Towers Waterpark has three slides which require the use of a ring – The Masterblaster (riders over 1.2m can ride on their own and those between 1.1 and 1.2m can ride on a double) – this is fast and goes dark in sections; Rush (which is meant to have a choice of lights and sounds but was just dark when we went) and Rampage – both of which are high speed slides and has an age restriction of 3 years old, with riders under 1.1m requiring an adult). Riders are not allowed to bring their own rings and Masterblaster has a different coloured ring to Rush and Rampage. You must queue for a ring and then queue again to use the slides. Flash Floods is the outdoor flume adventures at Alton Towers Waterpark. Two slides end up in a pool in the middle and then a choice of a further 3 slides taking you into another outdoor pool. Also available are Lagoona Bay with a waterfall and a place for a gentle swim; the Bubbly Wubbly Pool and Volcano Springs to soothe you; Wacky Waterworks with over 70 interactive water features – with water cannons, buckets, pull ropes and water wheels. Changing rooms are unisex with various size cubicles to meet the needs of different sized families. Hair dryers are free of charge – and there is even lower down ones for children. Both adult and children’s hair dryers face a mirror. There are toilets located both outside of the entrance gate and within the changing rooms. Lockers take a refundable 20p piece – we managed to fit our belongings for 5 of us in 2 lockers including our towels. There are plenty of places to hang towels on hooks around the waterpark however. There are disabled changing and shower facilities, with assistance available if required. Inside of Alton Towers Waterpark is a café where you can buy food/drink in your swimwear. This included hot and cold food ideas, with meal deal options. You can eat around the waterpark and there are benches provided, as well as seating being provided in the café itself. You can also leave the Waterpark and return later. 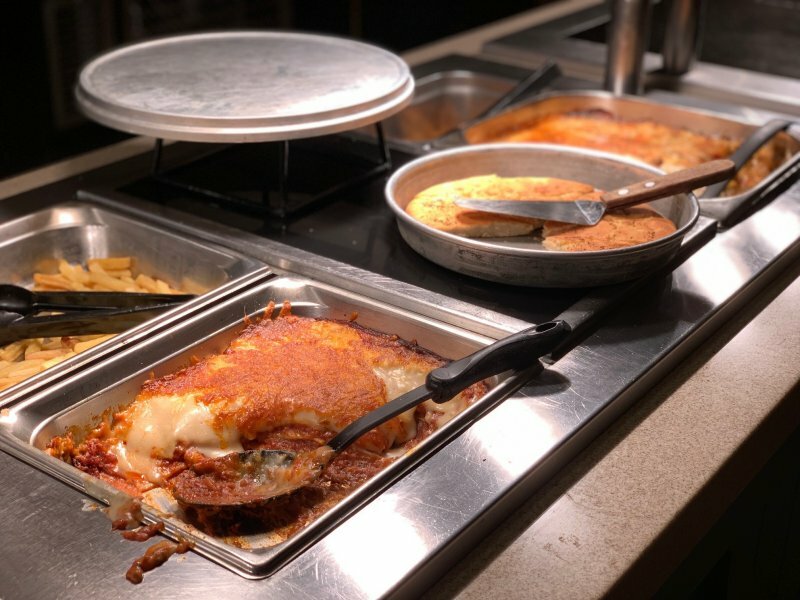 This allows you the option to go completely off-site from Alton Towers Resort or eat at Flambo’s Exotic Feast (all you can eat Pizza and Pasta restaurant) near the entrance to the Waterpark itself. You cannot bring and eat your own food however. That you can take photos inside the waterpark, but are asked to only do so for members of your own family/party. Buoyancy jackets are available from the help desk. There is also an arcade which you pass on the way in and out. There are CCTV cameras in operation. Baby feeding and changing facilities are available. There is no running, diving or shoes are allowed inside Alton Towers Waterpark. Alton Towers Waterpark is great for a family of a variety of ages (as long as you have the correct ratios). There is plenty to do so you do not have to just be queuing for the slides – again suitable for all different ages. 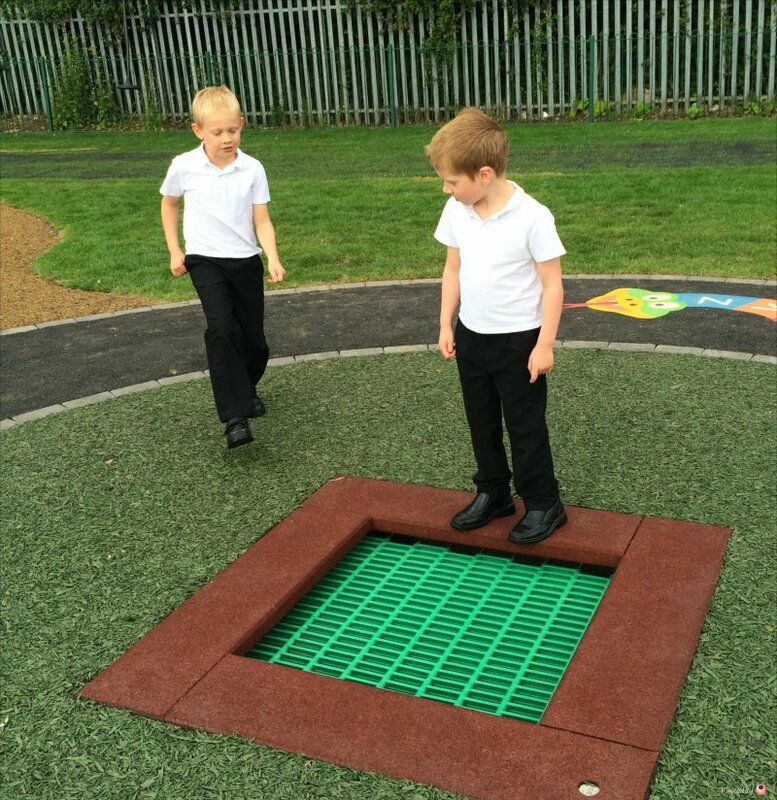 There is a lot of sensory stimulation including lights, colours and sounds. This is great for a sensory seeker but there doesn’t seem very much for a sensory avoider, and this would be less so if the Flash Floods were closed. 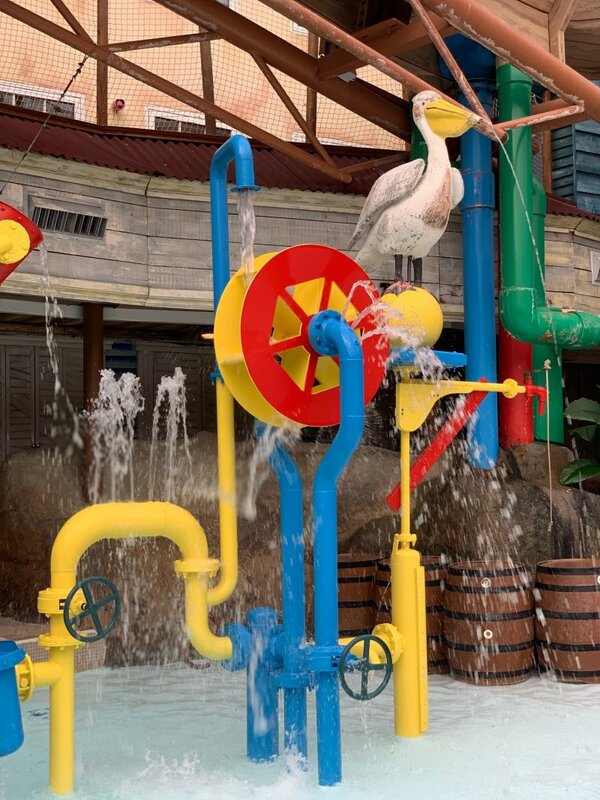 At least there is the option of going out and back in to the Waterpark – but the immediate area is also quite a sensory experience, especially as you have to pass the arcade. 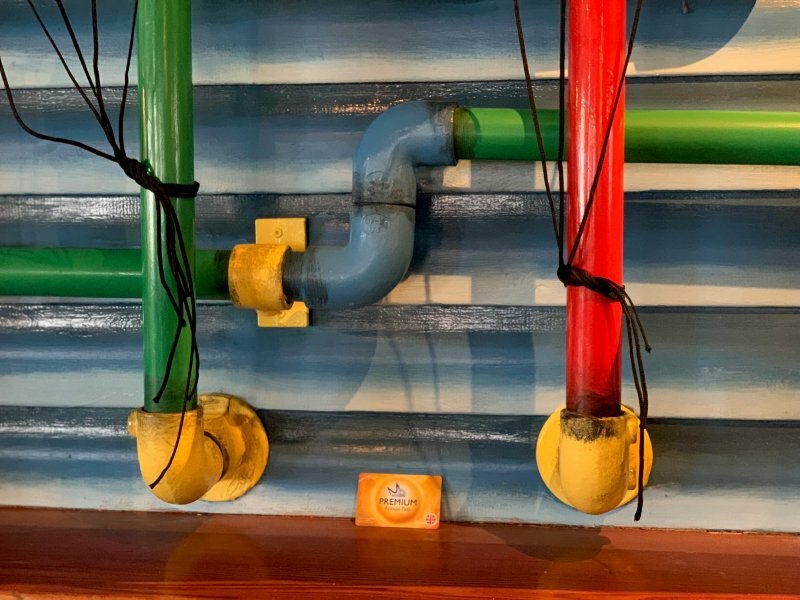 I personally felt really overwhelmed (I am self-diagnosed with Asperger’s Syndrome) on entering Alton Towers Waterpark and couldn’t clearly see what I was meant to do. For me it wasn’t clear which slides did what (ie were they tight, dark, fast etc) or where to go to collect the rings for the right slides. There are some sort of signs but it just felt a little confusing (I actually ended up on my own crying). However, there are plenty of members of staff around to ask for advice – and one even asked me if I were okay and if I knew where I was going. I am expecting that Alton Towers will be providing their staff with training on this following the launch of the new guide for welcoming disabled customers. I think that with our Merlin Annual Pass Discount, and a family rate, then Alton Towers Waterpark is reasonably priced and in-line with other Waterparks we have visited. There is also good value for money on the amount of entertainment. However, for our family of thrill-seekers (who are now all over 1.4m) there weren’t that many thrills in terms of exciting slides (with only 3 to really talk about at all). It is good that there was no rush for us to leave – as we were able to use the facilities between 10am-6pm coming and going as we pleased. We also found that the queues weren’t too unmanageable, even for The Sensory Seeker. We spent a total of 150 minutes in total at Alton Towers Waterpark, including getting dressed and undressed. Then we spent further time at Flambo’s Exotic Feast – where we were thrilled to discover there is ice-cream! ALTON TOWERS WATERPARK We have absolutely LOVED our role as @merlinannualpass ambassadors #adgifted this last year. We have finally managed to go and enjoy the Waterpark @altontowers just before they run out. A great place for those with smaller children too. We are Merlin Annual Pass Ambassadors and entered Alton Towers Waterpark with discount from our passes. All opinions are honest and my own. No financial compensation has been given for this post. Have you ever not used a business because you just couldn’t access them? Or had to leave early because your needs couldn’t be met? Worst still have you ever left somewhere or refused to spend money with someone because of their poor customer service in regards your needs? I am sure it will come as no surprise to you that you are not alone. But hopefully times are changing – such as with the launch of comprehensive guidance to help UK businesses deliver inclusive customer service by meeting the need of disabled customers by The Business Disability Forum. Yesterday we went along to the launch to find out more about it. Diane Lightfoot, Chief Executive of The Business Disability Forum, explained how 1 in 5 customers has a disability or long-term condition. With 90% of disabilities not being immediately visible. A survey of 2,500 customers it was found that three quarters left where they were due to the poor understanding of their disability. That 1.8 billion pounds were lost per month from businesses not getting it right. I heard of how employees were hiding from people with disabilities out of fear – not knowing the right thing to say or do. 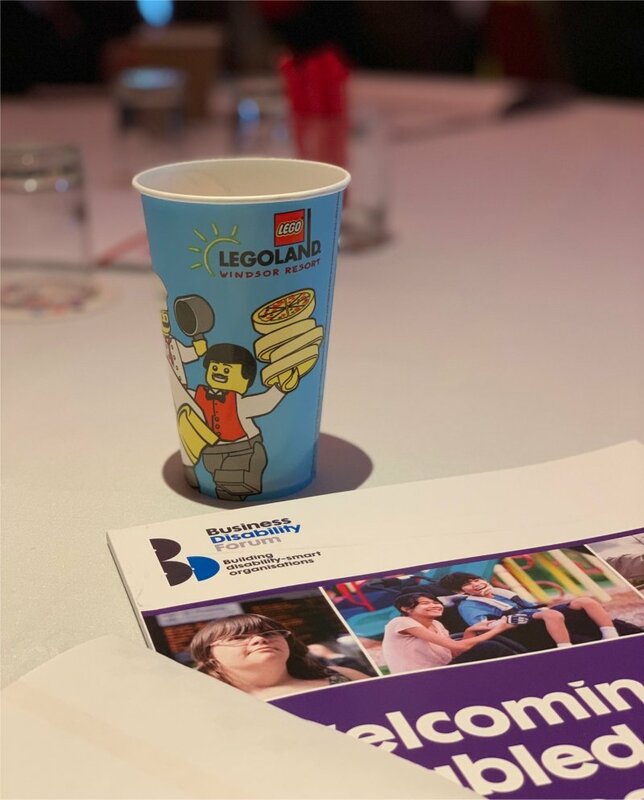 Sponsored by Merlin Entertainments and launched at the LEGOLAND® Windsor Resort on the 7th March 2019, the Welcoming Disabled Customers Guide offers advice to businesses on how to ensure all customers receive the very best level of customer service. The practical resource provides customer and client facing staff with relevant information on understanding and meeting the needs and preferences of customers with different conditions and disabilities: This includes training employees about language etiquette and thinking about differences within the same disability – as well as practical adjustments with access issues and how to make adjustments. It also includes general pointers on providing good customer service and harnessing the £249 billion spending power of disabled customers and clients. In addition, the fully revised guide includes new quick reference sections (Quick Tips), updated advice on assistive communication, additional facts sections and new multiple-choice questions to help the reader to recap on their learning. Many different types of businesses are going to be using the Welcoming Disabled Customers Guide and access the Business Disability Forum for further help and information. This is an ongoing process whilst feedback is listened to and tweaks made to make sure that everyone can gain access to as much as possible. Merlin Entertainments were one of the first businesses that I heard of that could help us meet the needs of our son with Asperger’s Syndrome. 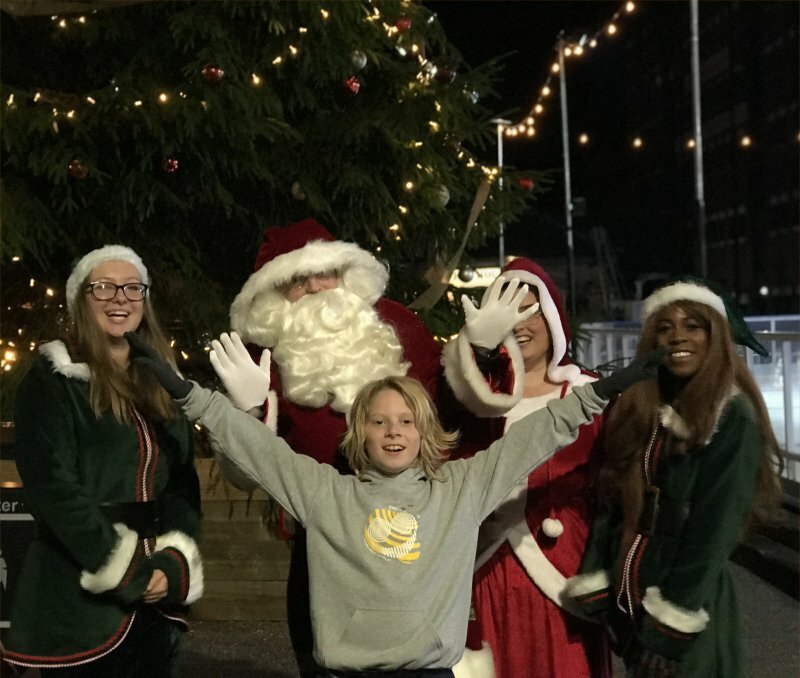 First with the way they handled his experience at LEGOLAND Windsor Resort all those years ago (probably about 15 years ago) and to be able to access days out when money was tight with Merlin’s Magic Wand. Merlin are committed to continuously improving the accessibility of their attractions and are trying to take every reasonable step to make the necessary adjustments for all their guests to enjoy a great day out. 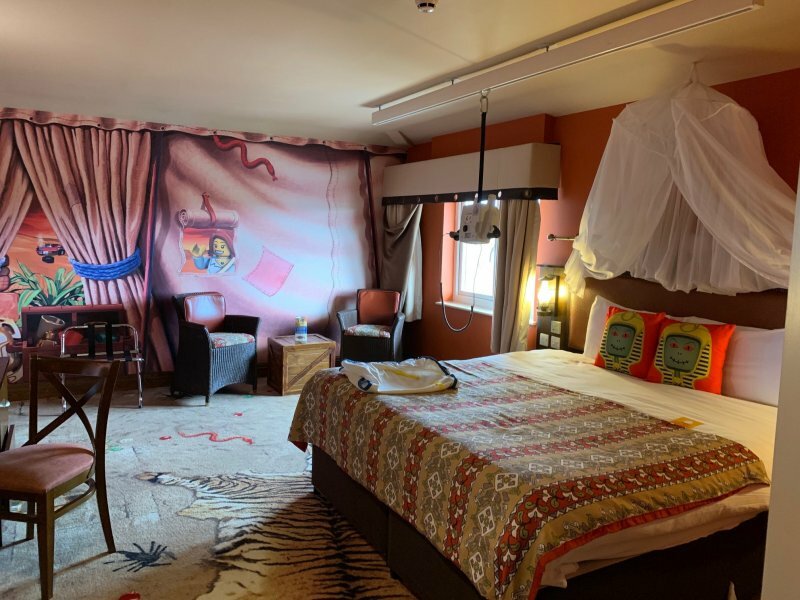 It was great to hear about the modifications to their attractions to make them more inclusive – including changes already made, things they are trialing/future changes. This includes great customer service, and the Welcoming Disabled Customers Guide will certainly help all their teams have the confidence to interact and create great memorable experiences for guests of all abilities. Whilst also utilising Ways into Work – employing disabled and disadvantaged individuals. LEGOLAND Windsor Resort has a new Total Sensory Room, Changing Places Toilet and hoist which were opened last year. 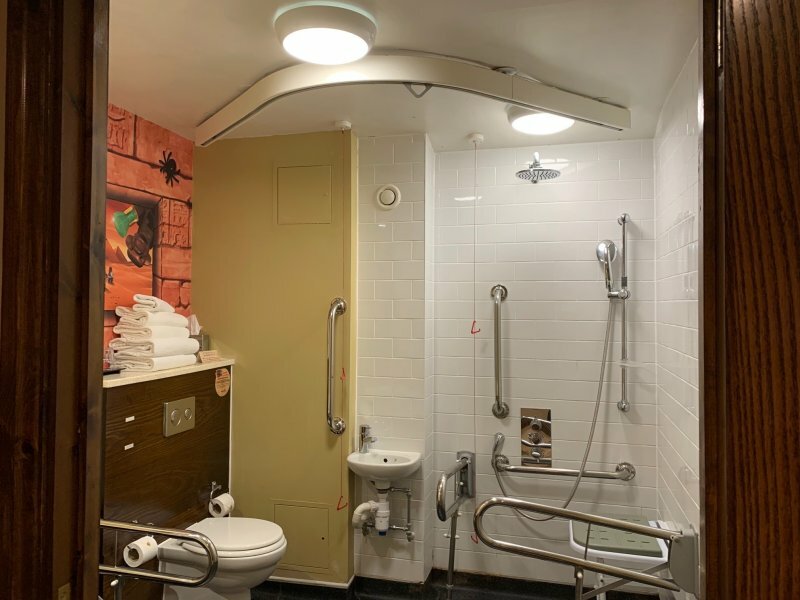 The best thing about the accessible toilets are that they are inclusive – in that they are next to, and decorated like, all the other toilets. The LEGOLAND Windsor Resort hotel has accessible rooms for each theme – including hoists, open plan rooms, low baths and wet rooms. This year inside the park sees the addition of mobility scooter hire, plus the Ride Access Pass and Disability Guide have been reviewed. The Welcoming Disabled Customers Guide is clear in that every customer should be treated as an individual – with no assumptions being made. That the best thing to do is to ask how you can help and what they need to help them access what you are offering – and this applies to every disability (and those who do not consider that their access needs make them disabled). However, sensory issues are also addressed under the heading of Autism and Asperger’s Syndrome. I would have liked to see Sensory Processing Disorder as an extra title for this section, and that it only covers people who are overwhelmed by bright lights, loud noises etc – and not those who are underwhelmed. 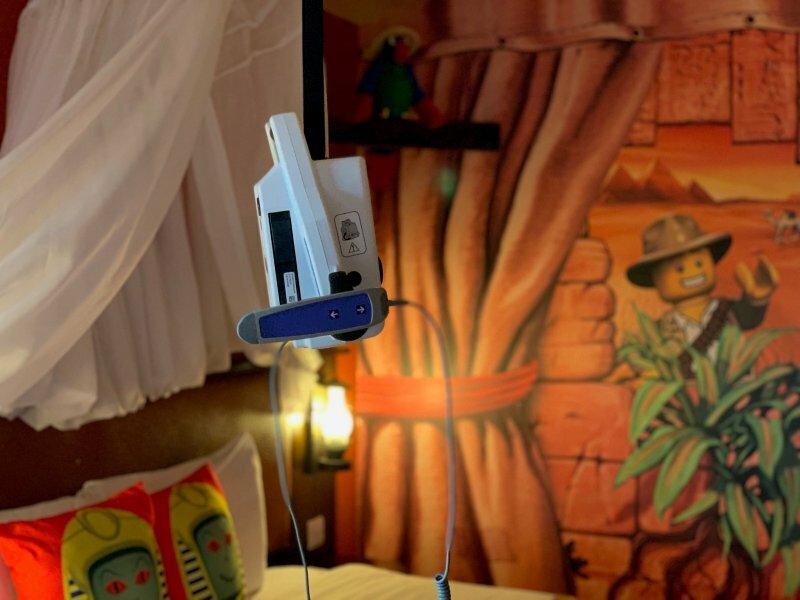 One look at The Sensory Room at LEGOLAND Windsor Resort shows that they are aware of this need, however, and places are doing things to help everyone. The Business Disability Forum is a not-for-profit membership organisation and has worked in collaboration with businesses, disability organisations and people with conditions covered in the guide, and with support from Merlin Entertainments plc. I was invited to the launch of Welcoming Disabled Customers Guide at LEGOLAND Windsor Resort. My two youngest children and I were able to use the pool, and the boys were very kindly given LEGO Goody bags. Opinions are honest and my own – but honestly there was a man who also went to the event who just wanted to cry as he was so pleased that someone just “got it.” Mostly that there were not only hoists, and things to allow his child access – but that they weren’t just medical – and were fun and appealing to any child. Spider-Man into the Spider-Verse is a new Marvel showing how being different can make you special. Being different it is usually perceived and portrayed in a negative way so I was really interested to see how Spider-Man into the Spider-Verse had parallels with those with additional needs. That and The Sensory Seeker is a massive Spider-Man fan so we were very keen to see a special screening. Miles Morales is just a regular kid. He struggles to understand his dad and hates the school he is at. But then he gets bitten by a spider and his life changes. Meanwhile King Pin is blaming Spider-Man for losing his family, and opens up a portal to get a variation of them back, but this also lets in various forms of Spider-Man from several dimensions. Each one is different from the rest and of course completely dissimilar from the rest of their societies, with their own special powers. When they come together they realise that they are not the only ones and are able to identify with each other, as they work as a team to beat King Pin, after he kills that dimension’s Spider-Man. Miles is there when Peter Parker dies and promises him he will save the day. 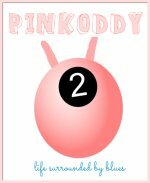 I think it is easy to see the parallels – not everyone is born with a disability, and it can feel very isolating to have one. Just finding others who share experiences like your own can make such a difference. 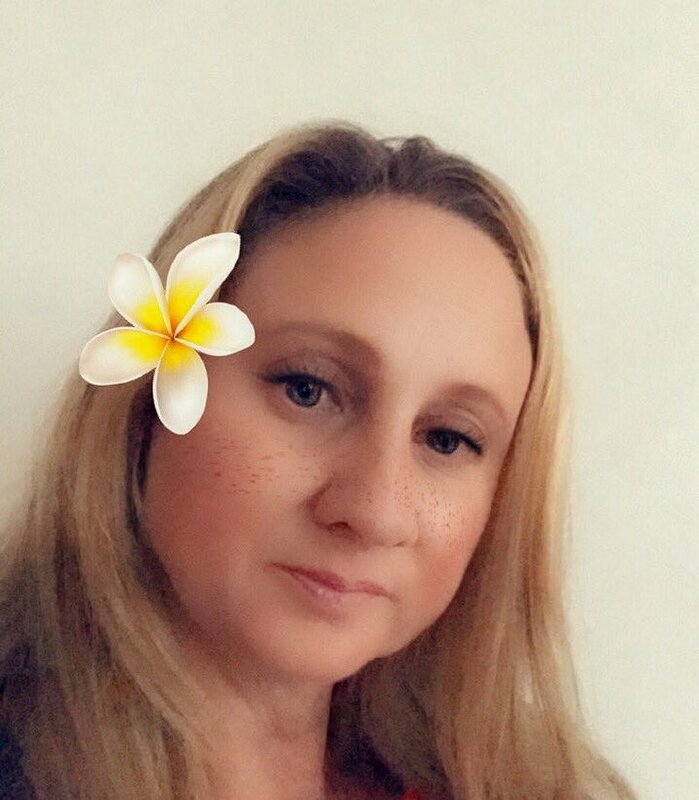 Again when dealing with additional needs you sometimes just have to adjust your expectations – of what the person can do, how things may go, how you think, how others may behave, etc. I know, for example, this Christmas is a particularly difficult time of year for The Sensory Seeker so I do not expect him to cope/behave in the same way, I make allowances and just try to keep him as happy as can be. At first when Miles becomes like Spider-Man he doesn’t know what to do in order to help, and gets things wrong. For example when trying to jump off a building he keeps thinking about running down the stairs, and when he finally takes the leap of faith to jump trips on his shoe laces. Another time is when he pulls Gwen Stacey’s hair off because he doesn’t know how to control his powers. New things take time – whether that is learning to deal with things, or to handle being given a diagnosis for example. Sometimes others may be able to help and other times you really have just got to take that leap of faith yourself and give things a go. I know for example with our experience we have really discovered that punishment (such as taking away a games console) does not work (no matter how much that method is used by others) – and to try an alternate way (when so many others tell you it is wrong) is hard. It is when Mile’s dad tells him that whatever he chooses to do he will be great, which really helps him to learn to deal with his new Spider-Man powers and saves the day. A quote from the film is that, “That person who helps others simply because it should or must be done, and because it is the right thing to do, is indeed without a doubt, a real superhero.” That’s all we can do – is do the right thing, and that actually, love and nurturing is what is best for everyone. 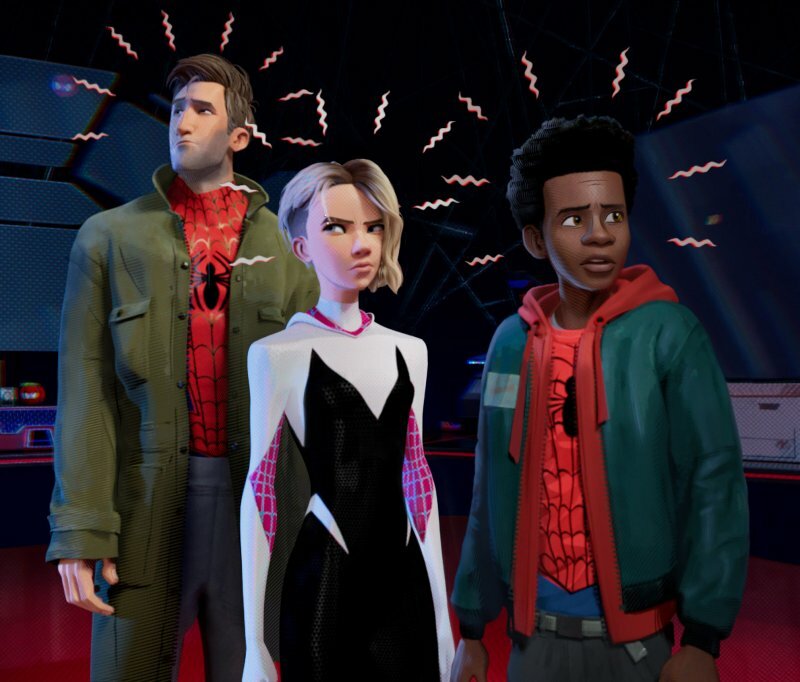 Several times the message of unity is portrayed during Spider-Man into the Spider-Verse, and of course it is with all the variations of Spider-Man coming together that really makes the difference. When Peter Parker dies his girlfriend Mary Jane says that, “We are all Spider-Man in our own way;” Stan Lee says that the Spider-Man suit “always fits, eventually”; and when Uncle Aaron dies only Spiders are the ones who truly understand. After all it is what makes you different is what makes you Spider-Man. We may not feel like we fit, but eventually we grow and learn to be happy with who we are and who our tribe is. 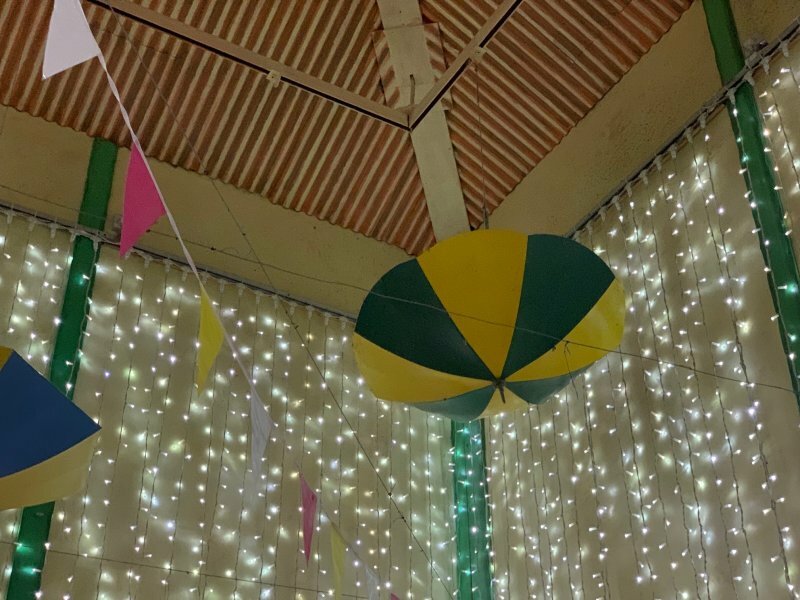 It is the very reason I write this blog, to help people feel less alone – and share ways I find have helped The Sensory Seeker be happier in life. Thanks to Stan Lee and Steve Ditko for telling us we’re not the only ones. I was invited to a Special Screening of Spider-Man into the Spider-Verse. All opinions are honest and my own. Images Marc Berry Reid, provided by Way to Blue. When our youngest son was starting school with SEN I worried whether he would eat, go to the toilet and make friends. These were my main concerns, this is what I thought initially was important. Overall I was worried about what I could do to make sure my son was just like everyone else. I made sure that before our son started school he had a statement of special educational needs (which changed to an EHCP). This was to make sure he would get the most amount of help to be like his peers and be liked by his peers. But here’s the thing, after one term of home education I have realised that is not what I want anymore. I feel I was so fixated with the short term that I never stopped to consider the future. What do I really want for my child with additional needs in the long term? Initially I worried that he didn’t quite get things like other children; for instance what happened if he stripped off his clothes and tried to walk around school half naked?! Or what if someone laughed at him for having a toileting accident? What if they laughed at him and called him names? No what I considered was important is that there was help to make sure he didn’t do these things, that he blended in with everyone else. But now I see things much more clearly. Now I want him to be confident and happy with who he is. To learn to ignore those who are mean to him for not being a carbon copy of themselves, and to seek out those who are tolerant and have acceptance. Those who want to learn about his difficulties and support him, but not want to change him. That they will see beyond his additional needs and see the kindness in his heart. To find friends, real friends, who don’t just want to know him when there’s no-one else around. 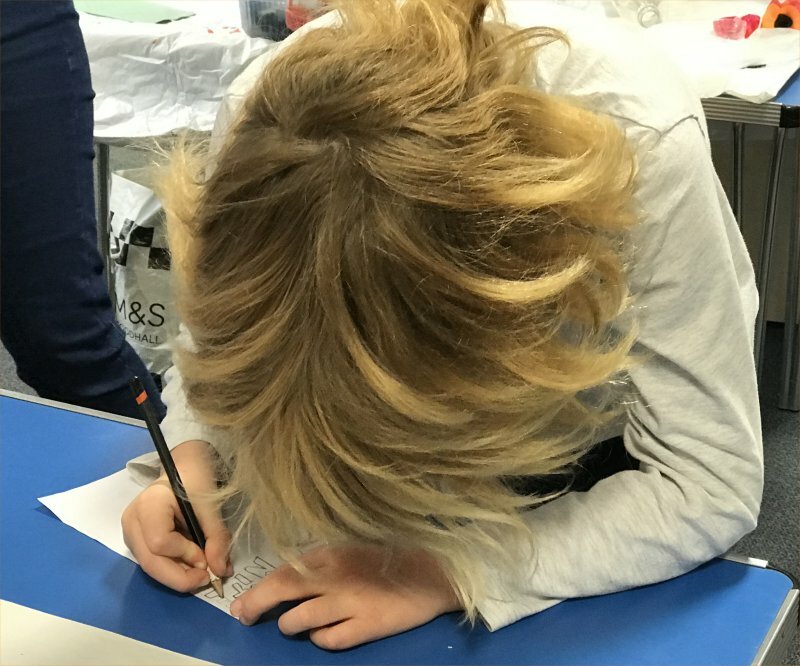 Home Education has been such a blessing for The Sensory Seeker – with five birthday party invites in his first term! As for food, previously I was worrying about whether he would eat, but now I want him to be able to think about being able to source what he wants: For example, I love how he is gaining in confidence learning to peel vegetables, which will be a great skill for the rest of his life. I have already written about how being home educated really taps into his sensory needs – doing what he wants when he needs it. But never before had I truly stopped and thought about what he really needs. Honestly it isn’t to be able to catch up with his peers – who cares if he can pass his SATs or not? It doesn’t really matter. What matters is that he can learn to live a happy life! Take care of himself and not let others drag him down. Being home educated is doing his confidence so much good. No longer being compared to others and judged – just trying his best; finding out what he is good at. Then practising both what he is and isn’t good at to improve, but knowing that his effort is what is enough, what is important. Have you pulled a child with Special Educational Needs out of the education system? Has it made you change the way you feel about everything? BlogonX is almost here and although it is one of the friendliest of Conferences you can go to I am nervous as hell! And that I believe is down to the fact that I believe I am on the Autistic Spectrum. I struggle with many areas when it comes to changes of routine and social interaction. I have a problem with facial recognition – which can include people I know and I have met several times (luckily I generally recognise people I know who they are and have met lots of times). I really seem to be struggling a lot at the moment – even people I have met on Monday I can’t remember by Wednesday! And people I have met a few times I confuse with someone else I have known for a long time! Of course this also has the problem that I cannot remember things about them. I struggle with conversation (always saying the wrong thing) and people really do not like to feel like they are not memorable. I try my best to mask it and this makes me feel really tired (or I go really dizzy and feel like I am going to pass out). That’s happened at several blog events even when I knew who the people were and felt really comfortable with them. I have been to Blogon loads of times but not in its new location. This will be the first time I will have driven to Manchester and then I need to figure my way around a new venue. I am confident that there will be lots of friendly helpful people there to guide me, but again I just feel like a right wally when I just don’t get where everything is (even at the end of the day!) and again this drains me. I see that some of the people helping to run the event are new to me too, as well as the above problem of worrying that I will not recognising those I have met before! 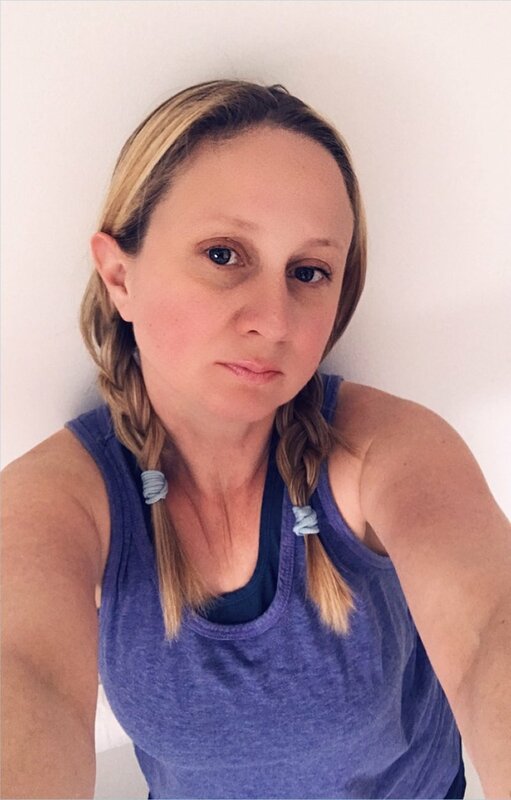 It may be a case that I am actually not on the Autistic Spectrum (and there’s many more reasons than this that I believe I am) – but these are my struggles either way. If you see me and I seem vague about who you are then please accept my apologies, and forgive me if I say anything not quite right – I never do mean to offend. I am sure after a few drinks at the launch party and I will relax. I don’t think I have a favourite pizza topping – as long as it isn’t pineapple or anchovies (or sprouts) I pretty much like them all. The three dinner guests I would chose would be my mother, my Nan and my husband. Both my mother and my Nan died when I was only 20/21 and only ever saw me with guys who were a right waste of space. I would love for them to be able to meet my husband and see just how wonderful he is. My biggest life achievement would just be living. There have been many times when I have been close to ending it all and to keep going when life has given me some pretty serious knocks I do believe is an achievement in itself. I would love to be Winnie the Pooh – not only is he awesome but he is surrounded by some pretty amazing friends who really care for him. When I wake up in the morning I reach for my phone and go straight to Twitter – the light helps me to wake up. I have never thought about what I would buy if I won the lottery as I never buy tickets. I guess I would get my husband a new car because that is what he’s done for me for my birthday. As above I have an awful memory so don’t really have a favourite quote. Honestly I watched the new Marvel film yesterday and today couldn’t remember if the bad guy was blue or purple when asked! If I were a superhero and could have a super power I would love it to be just to have excellent social interaction skills – imagine all the wars you could solve with the ability to talk well. 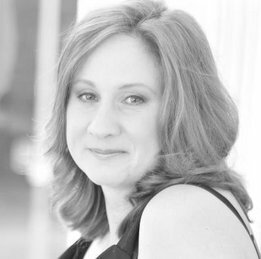 The best piece of advice I have ever been given is from Laura Seaton after her daughter Elizabeth was ill. She said – if you can change it then do, if you can’t then just don’t worry about it. I am sure she worded it better than though! I use the laughing with tears emoji the most. I wouldn’t tell myself anything if I could go back in time because it would have changed the course of my life and I wouldn’t have ended up where I am now. Despite my difficulties life is pretty good. 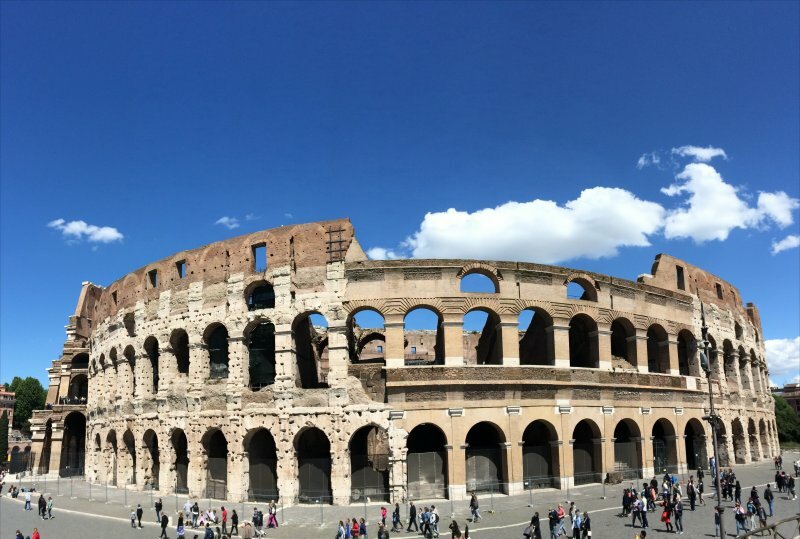 The wallpaper on my phone is of the Colosseum from when we went to Italy last Easter. You know I am rather happy being a blogger as my job. It has given me amazing opportunities as well as the ability to be there for my children – especially important now I have decided to home educate them. My favourite place in the world is home. 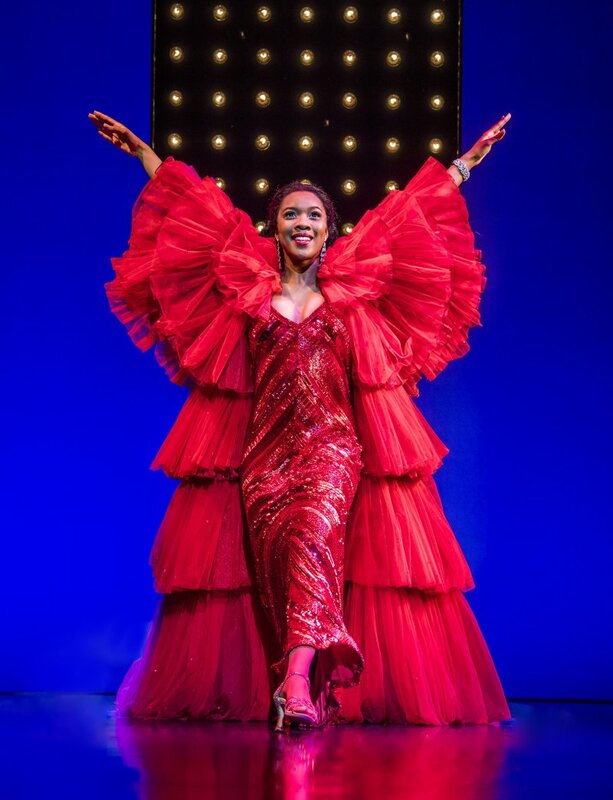 There really is no place like it – as long as my family are there obviously. Yesterday was the day that we started our first proper day of home educating The Sensory Seeker. I have been considering home education for a good half a year for his older sibling but the more I thought about school the more I was not happy how it was affecting The Sensory Seeker. They continued to not only ignore but tell me that his sensory needs did not exist. Yesterday after the boys having an early start to learning (honestly they didn’t even want to put the television on they just wanted to start with education!) we went to the school and handed in the deregistration letter. This was also an opportunity to let friends who did not already know know and say goodbye (they will be keeping in touch with those they want of course). I was shocked as I guess somehow the school had convinced me that The Sensory Seeker had progressed so well that his senses were not getting in the way of his education. 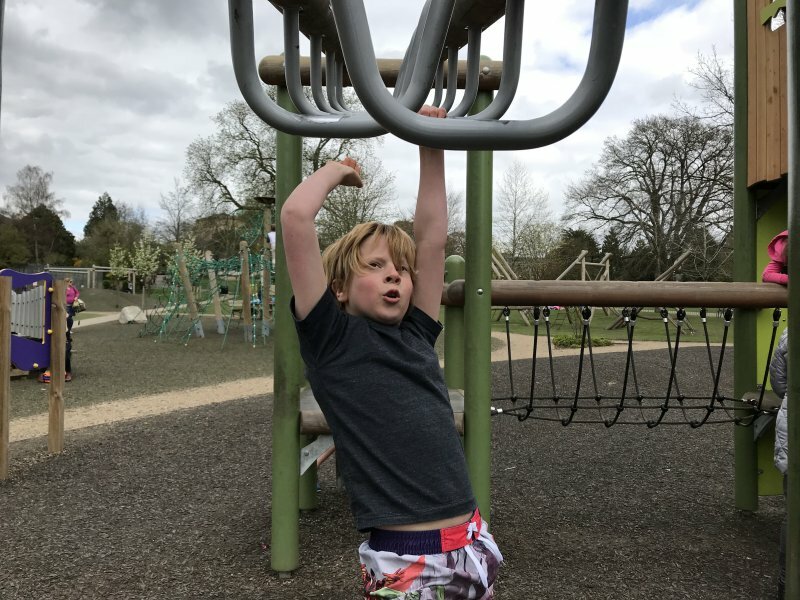 I am not sure if it is because I had more time to pick up on them or that it really is due to the different environment but I immediately saw how beneficial home education is going to be for him in terms of managing his sensory diet. The most notable thing is definitely that The Sensory Seeker has different times when he is receptive to learning. On certain occasions throughout the day I knew that there was just no point because he was not in the right frame of mind. What would they do in this instance at school? Punish him? I just let him play/cuddle etc on contrast at other times he was really raring to focus and wanted to learn – and this also did not fit in the 9-3 school day. Leading on from this there were definite times when he needed a hug or back/hair rubs. It helps calm him when being anxious or upset, or sometimes overwhelmed. It is all a new routine which he will find more difficult at first as change is hard for him. Home education I think will be better in this sense because there won’t be changes of going back to school and then holidays all the time. The Sensory Seeker sometimes required something to fiddle with. I have to admit whilst reading him a story it was distracting for me as he flicked a toy dressing up tiara and did feel as if he was not listening. But I know he was and it was actually helping him to concentrate. In fact he even started to read the story himself without being promoted (also showing that he was listening as he knew where we were). At school when I have talked about things to fiddle with or chew it has been all about him fitting in socially so not looking different to others (when they have even agreed with me that he may need this). I think this goes for any home educated child but following The Sensory Seeker’s interests really help with his more limited focus, concentration and attention. He can wear what he feels comfortable in (or not wear as the case may be). Although he has been conditioned to the fact that you tuck your t-shirt in (which looks silly at times) because that was the “rule” at school. No need to just be quiet. If the Sensory Seeker needs to make noise or express himself he can – he is not stifled about it being the right time/place/content (if he wants to talk about his special interest then he can!). In contrast there is quiet time for learning without all the noise from everyone else. This was my experience after just one day – most of which was seen as play time. The Sensory Seeker already seemed so much happier and definitely closer to me (in one day!). He also made a friend! I would love to know of your experiences of home educating a child or children with Sensory Processing Disorder. 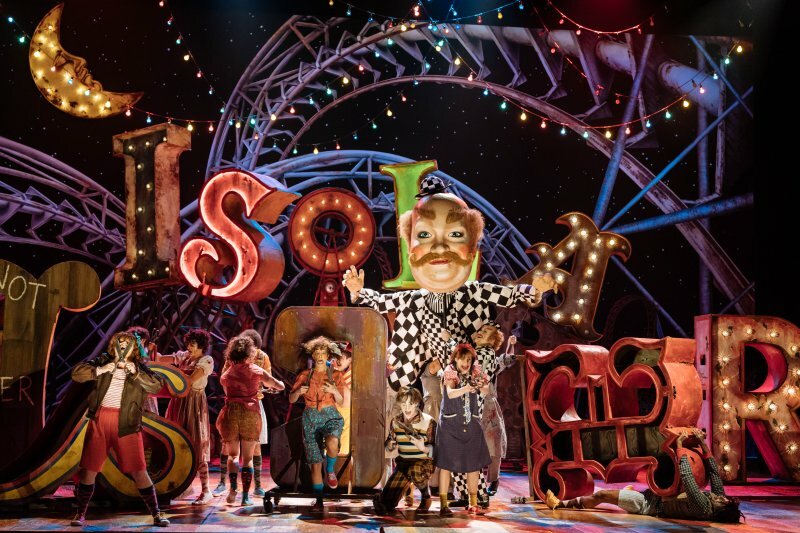 The National Theatre are once again catering for individuals who may benefit from a relaxed performance with their spectacular new production of Pinocchio. Pinocchio by Dennis Kelly; with songs and score from the Walt Disney film by Leigh Harline, Ned Washington and Paul J Smith and adapted by Martin Lowe, directed by John Tiffany. 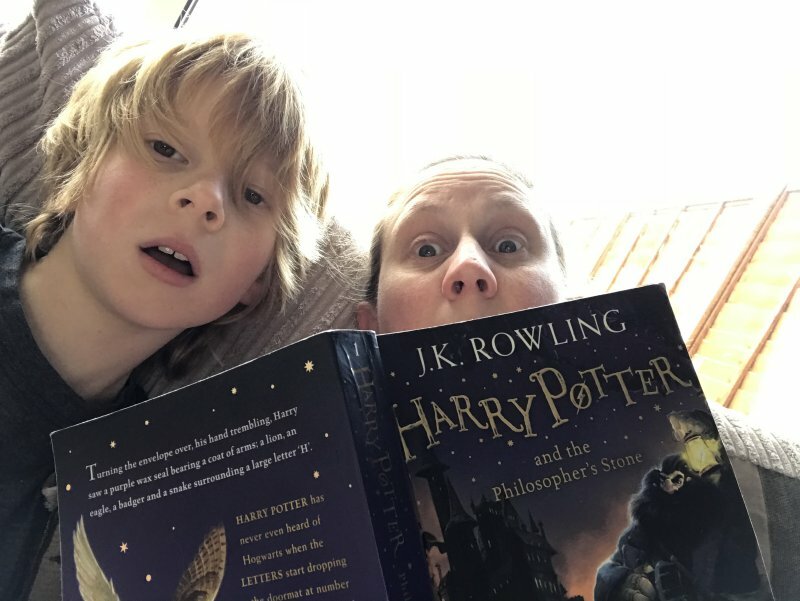 Certain themes, characters, puppets and moments in the story may be a bit scary for some children and therefore is recommended for brave 8 year olds and above. Pinocchio is in the Lyttelton Theatre which is a proscenium arch theatre over two levels (Stalls and Circle). 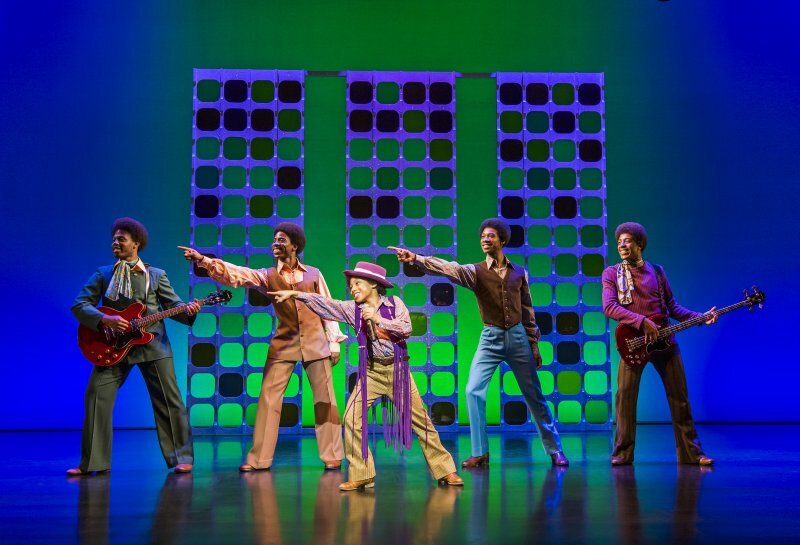 The Box Office is on the ground floor and there is flat access from the foyer to the back of the Stalls (row V). The Lyttelton Café and Long Bar are both on this level and the entrance to the Espresso Bar is 3 steps up from the foyer: An accessible toilet and telephones are also located on this level. Relaxed Performances audiences include people with autistic-spectrum condition, sensory or communication disorder or a learning disability. 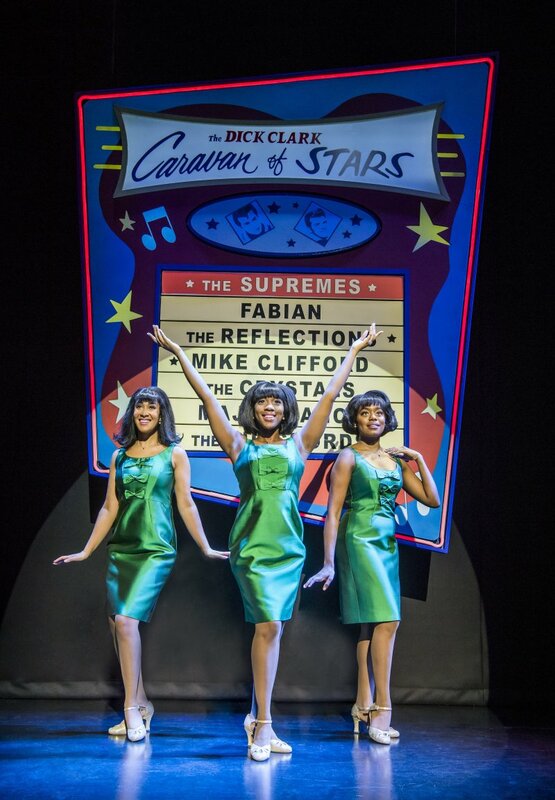 This may include changes in lighting and sound, more freedom of movement with a break out space and friendly ushers; no expectation to stay quiet as well as additional familiarisation of the theatre prior to the performance (such as a visual story of the production posted or emailed out beforehand; with lots of pictures of the building as well as the story). 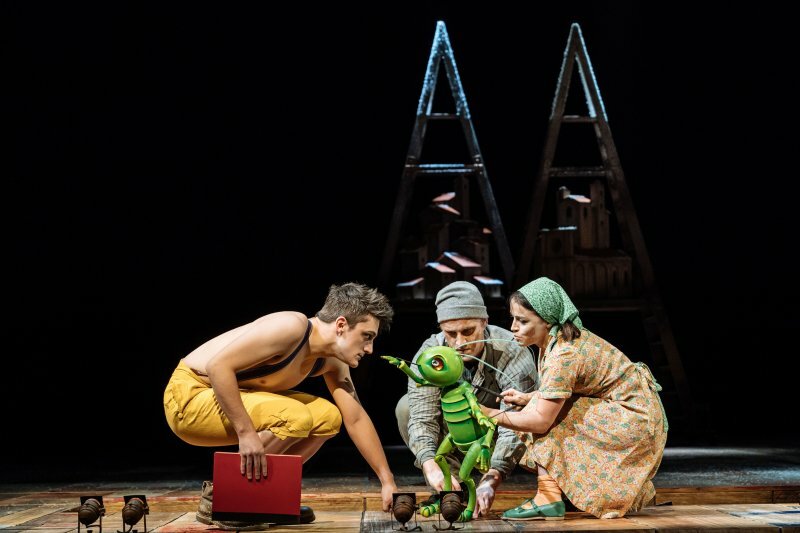 The National Theatre’s Relaxed Performance of Pinocchio is presented by special arrangement with Disney Theatrical Productions; and with thanks to the Maurice Hatter Foundation, the Stanley Kalms Foundation and the Joseph Levy Foundation for their support towards relaxed performances. 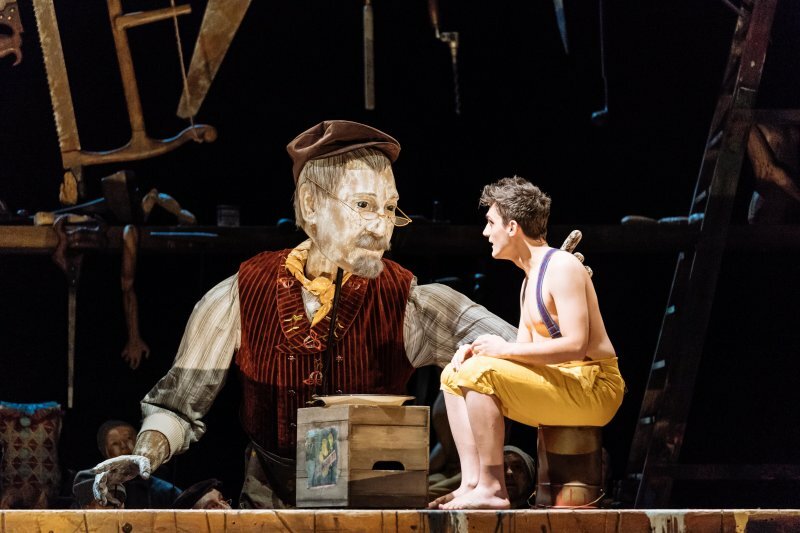 The National Theatre’s relaxed performance of Pinocchio is on 17th March at 1.30pm. 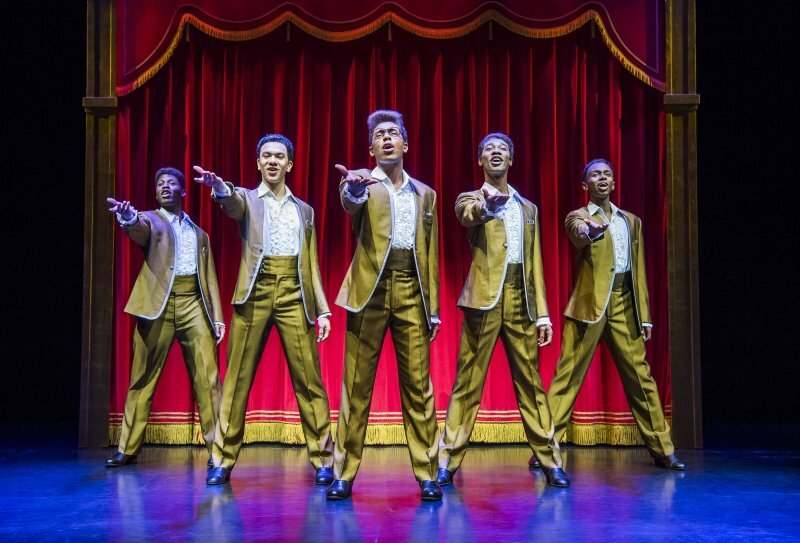 All tickets priced at £16. Sensory Processing Disorder appears to be on the rise here in the UK and so is the ever growing of information about it. Therefore it made sense to share with you some great blog post from other UK Bloggers who write about Special Needs . It is not just individuals with Sensory processing disorder who struggle with sensory issues but those with autism, downs syndrome and other cognitive and learning difficulties. The reasons why their difficulties may occur may be slightly different – but the advice and the support does cross over. Actually what we need to do is just look at each individual and try to figure out how best to make things better for them. 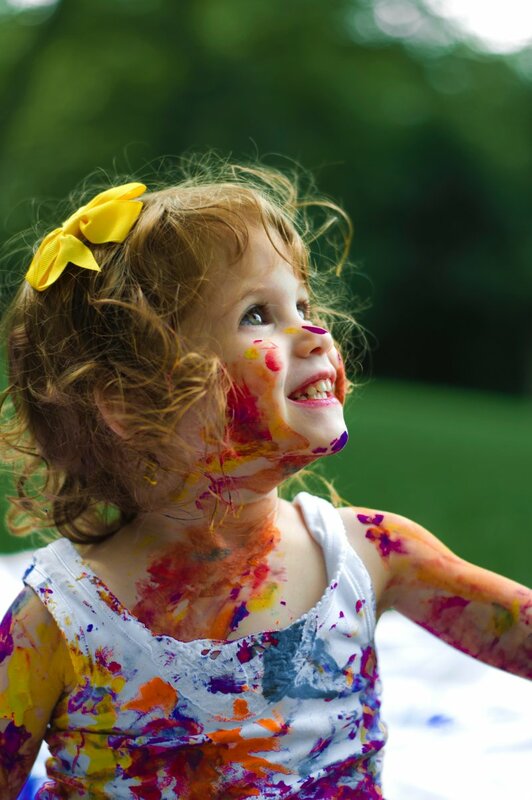 That it is the way we look at things – which is exactly what I feel Ordinary Hopes conveys in her post Autism is not the Problem. This is what I have hoped to achieve in posts such as helping with problems such as brushing teeth, hair care and wearing clothes. Down Side Up has also written about teeth with special needs, including a visit to the dentist and hairdressing tips for kids with Special needs; whilst Steph’s Two Girls has written about Sensory Issues with Clothes in relation to her daughter with PDA (a form of Autism). 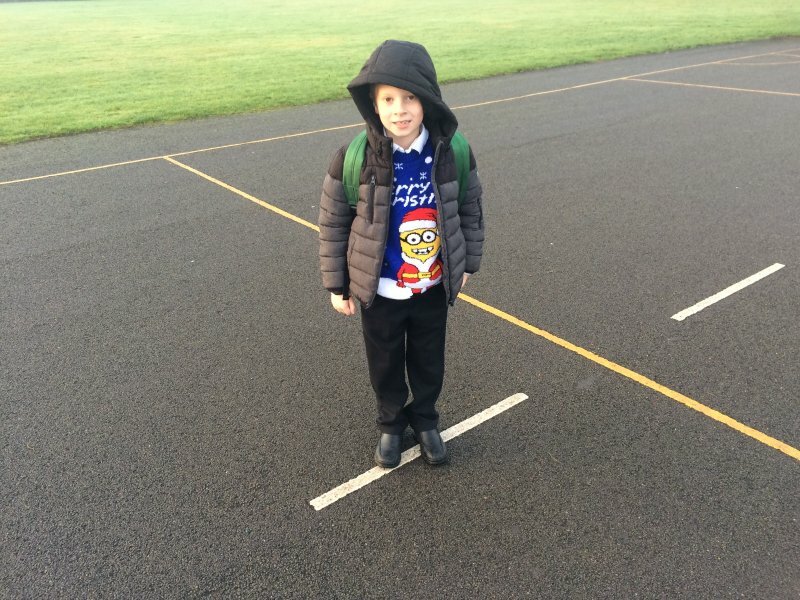 Autism with Love writes about The Coke Bottle Analogy of Being at School with Sensory Processing Disorder. Comparing how a lack of the correct sensory diet at school can be likened to keep giving the bottle of coke a shake – so of course it will explode if you try to open it at the end of the day. But Starlight and Stories reminds us that funding is tight in education and that teachers are generally facing the same battles as we are, giving top tips for working with teachers and instead also offers us ways of Reducing Sensory Overwhelm in the school setting (see also my post Sensory Processing Disorder and help at school). 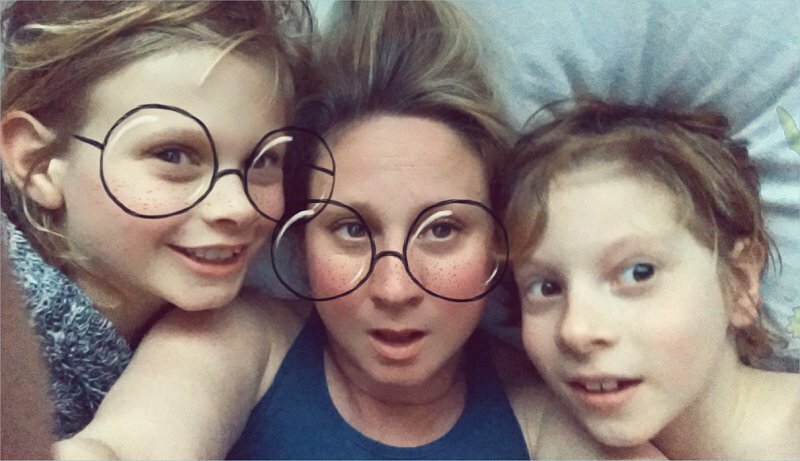 Whilst Autism with Love shares her Sensory Processing Disorder Tips and Advice of things that have helped her daughter. 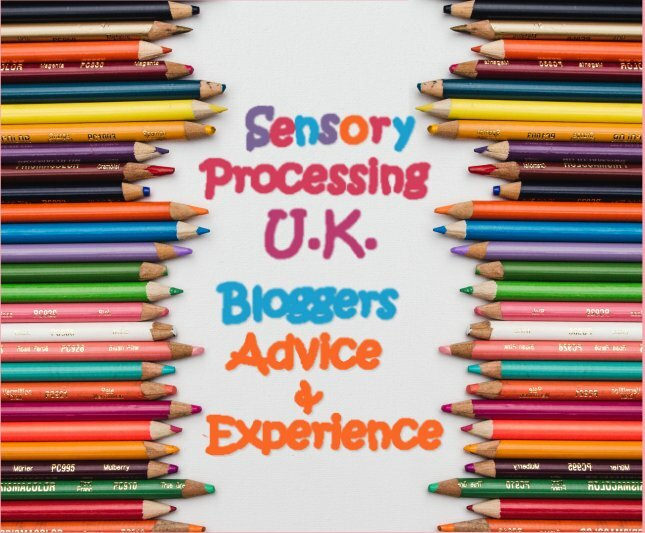 I would love to know if you have read any Sensory Processing Disorder posts from UK Bloggers – or if you are one and would like to be added to the resource post then please do get in touch. Are there any topics you feel that as Sensory Processing Disorder UK Bloggers we have not covered?